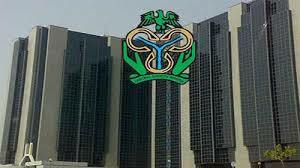 Some financial experts have commended the CBN for suspending some banks from the foreign exchange market due to some infractions. They advised the apex bank to henceforth publish foreign exchange allocations to banks weekly. The experts, who spoke to the News Agency of Nigeria (NAN) in separate interviews in Lagos on Thursday, called for effective supervision of the banks to check round tripping. NAN reports that the apex bank, had on Tuesday, suspended 12 banks from the market for denying small and medium enterprises access to foreign exchange under the new window for SMEs. Prof. Sheriffdeen Tella, an Economic Lecturer at the Olabisi Onabanjo University, Ago-Iwoye, Ogun, said the sanction on the banks was long overdue. Tella said that some commercial banks were not transparent in their foreign exchange operations, alleging that some were indulging in round tripping. The don decried the numbers of documentation the banks subjected customers to while accessing foreign exchange, but which many customers never got in the end. He said that some of the banks gave all manners of excuses for their inability to sell foreign exchange to customers. “The banks should reduce the amount of documentation required to buy foreign exchange. “The CBN should also publish foreign exchange allocations to individual banks for all to see,” Tella said. Alhaji Aminu Gwadabe, the President of Association of Bureau De Change Operators of Nigeria (ABCON), said that retail transactions for SMEs were more effective at the BDCs segment. Gwadabe said that the transparent and effective operations of BDCs and their nationwide reach had enabled genuine foreign exchange seekers to leverage them for their needs. NAN reports that the CBN opened a new foreign exchange window for SMEs about two weeks ago to enable them meet their foreign exchange needs to import items not exceeding 20, 000 dollars per quarter.